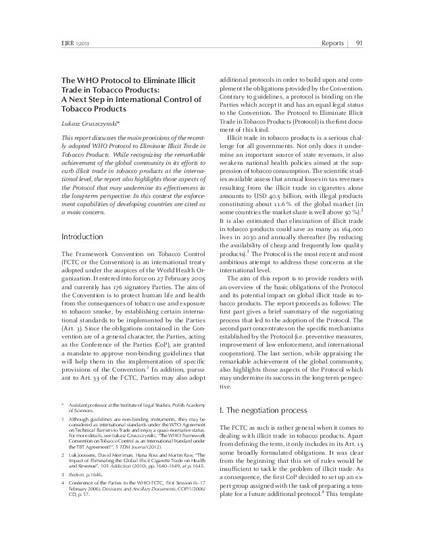 This report discusses the main provisions of the recently adopted WHO Protocol to Eliminate Illicit Trade in Tobacco Products. While recognizing the remarkable achievement of the global community in its efforts to curb illicit trade in tobacco products at the international level, the report also highlights those aspects of the Protocol that may undermine its effectiveness in the long-term perspective. In this context the enforcement capabilities of developing countries are cited as a main concern.